I STILL have ant freeways through my house. After lengthy exchanges with you by email, I've moved 8 ant traps off of concrete or hot stone and into cover of foliage a couple of yards from the house. There is a good perimeter. I tossed the ant bait I'd diluted with tap water, and replaced it with full strength Gourmet ant food (yours). I've primed the traps by turning 180 degrees and locking down the screws . I've used a level. I've dusted inside the house with boric acid powder the ant trails I find. There is no food left out. I STILL have ant freeways running along the hallway molding and into the kitchen then up onto the stove; they still come out of the walls and ceiling. San Diego, on the beach, Argentine ants. What more can I do? I need to call a pest control place - recommendations? This was a very expensive way to learn your ant traps don't work. I've spent over $300 on your produts and am really peeved. Plus I STILL HAVE ANTS. Here is the deal. The KM Ant Pro Stations are not traps. They are liquid ant feeding stations. If you call a local pest control company, they will either apply Termidor, some liquid repellent spray, or use KM Ant Pro. 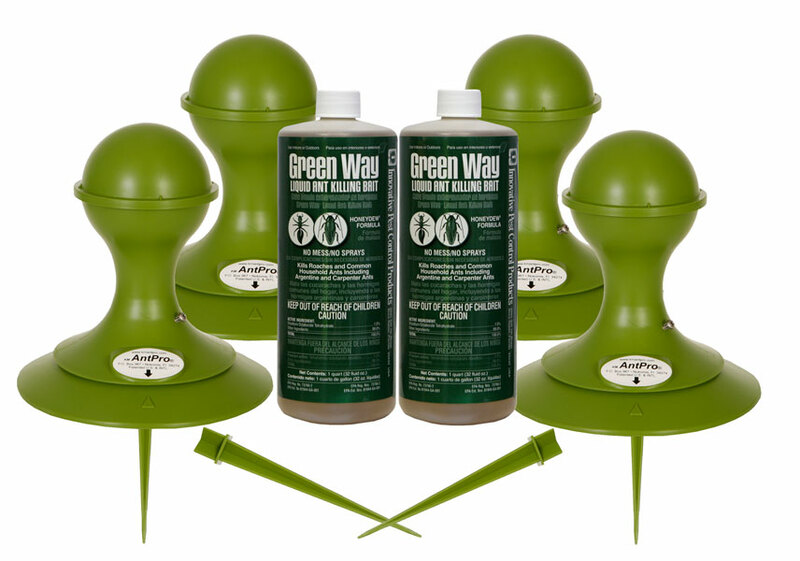 A lot of pest control companies in SO Cal use KM Ant Pro Stations and Gourmet Liquid Ant Bait as a service. The average charge for this? Around $800 per year. Call around and check. You will see what I am telling you is true. As far as an "expensive way to learn", believe me, these products work. I understand your frustration. You are dealing with an ant that obviously has a more interesting and palatable food source than a commercially available bait. The boric acid you applied inside the walls will obviously keep them out of the walls. That may be why you are seeing trails outside of the walls. I will talk to Ken at Ant Pro and have him contact you personally. Ken has spent a lot of time in California working on Argentine Ants and is probably the most knowledgeable person in the USA on Argentine Ant infestations. We will help you get to the bottom of this. No worries. You should have received a call from Ken by now. We talked at length about the issue. He even looked your address up on google earth, got an overhead view of your property and mentioned a couple of things that could be real issues.